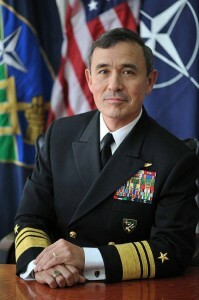 Vice Adm. Harry B. Harris, Jr., assistant to the chairman of the Joint Chiefs of Staff, and four-star Gen. David A. Bramlett (retired) headline the 11th annual Evening of Aloha Gala Dinner. ABC7 anchor David Ono returns as the evening’s master of ceremonies, with entertainment being provided by multiple Grammy-award winning songwriter and producer Daniel Ho, renowned taiko group Taikoproject, and Los Angeles hula group Halau Keali’i O Nalani. In addition, Carelife Inc., a local caregiving and educational service for seniors, has generously offered to provide door-to-door transportation services for Nisei veterans and their spouses to and from the event. This year’s keynote speaker, Vice Adm. Harris, holds one of the nation’s highest military posts. He has distinguished himself in every geographic combatant command, having logged 4,400 flight hours in operations that included Desert Storm, Enduring Freedom, and Iraqi Freedom. Born in Japan and raised in Tennessee and Florida, he has received personal decorations that include the Distinguished Service Medal (2) Defense Superior Service Medal (3), Legion of Merit (3), Bronze Star (2), and Air Medal (strike/flight). American Honda Motor Co. has generously donated a 2013 Acura TL with Technology Package to be given to the lucky winner of a drawing to be held that evening. The front-wheel drive luxury sedan features a 280 horsepower 3.5L, V-6 engine, premium audio system with 10 speakers and Dolby sound, and the Technology Package includes the Acura Navigation System with voice recognition, real-time traffic information, traffic re-routing and weather alerts, and a rearview camera. The drawing is open to the public and the winner need not be present. To purchase tickets or to request tickets to sell, contact Peggy Renke at [email protected] or (310) 222-5709. Opportunity Draw tickets may also be purchased at the dinner. Known for creating an outstanding dinner menu, renowned chefs Roy Yamaguchi of Roy’s Restaurants Worldwide and Akira Hirose of Maison Akira Restaurant return this year to prepare yet another sumptuous meal, which has become one of the hallmarks of the Evening of Aloha. In addition, a generous donor has offered a supply of 3-inch Nisei Soldiers of World War II Congressional Gold Medal bronze replicas available for sale for $39.95, plus shipping and handling. (The U.S. Mint recently decreased the price of the CGM replica from its original $44.95 level.) Deluxe black velvet presentation cases are also available. Individual tickets and sponsorship opportunities are now being offered. For more information, visit www.goforbroke.org/eveningofaloha or call Ellen Robinson at (818) 242-9108, ext. 204.